Comments: This was a rushed shot. I had been out in my garden and noticed the very thin crescent moon as the sun was setting (if fact thinnest I have seen). 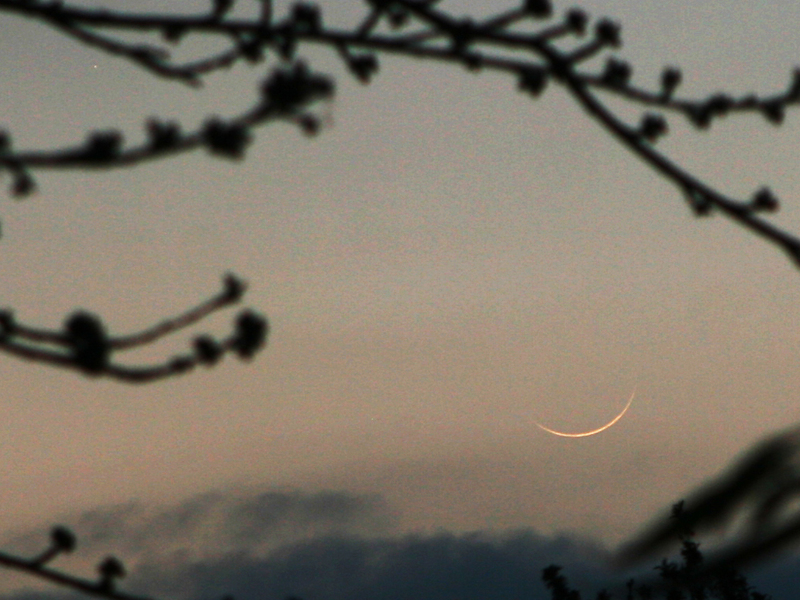 I rushed inside and grabbed my EOS camera and hastily took a few shots before moon disappeared. When I processed images I also discovered that Mercury is visible (just) in top left corner between the branches. The phase of the moon is less than 2deg and mercury is approximately 2.5 degrees away.